After unveiling a good portion of their 2018 lineup back in February, organizers behind Vancouver's Westward Music Festival have revealed another round of additions to this year's event. 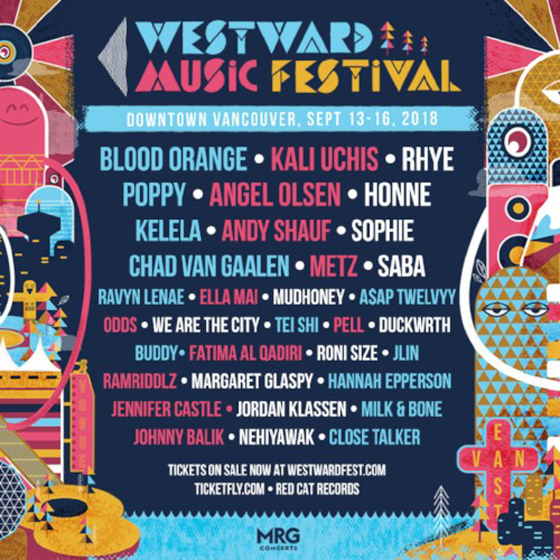 Taking place across Vancouver from September 13 to 16, the festival will also feature sets from new additions Andy Shauf, SOPHIE, Chad VanGaalen, A$AP Twelvyy, Margaret Glaspy, Jennifer Castle, Johnny Balik and Jlin. The aforementioned acts join a lineup that already included Blood Orange, Kali Uchis, Rhye, Mudhoney, Poppy, Angel Olsen, Honne, Kelela, METZ, Saba and more. Individual show tickets and festival passes are currently available for purchase, with further information available here.